Credit: This is an edit of my colleague Lupa Mooncak's document created in liasion with Alfredo and published with permission. Thanks again Lupa and Alfredo! VCP510 (VCP on vSphere 5) Exam Cram Notes Part 3/3: Exam Passed! i: The exam is 85 questions in 90 minutes (only slightly more time than one minute per question) so you need to know your stuff and answer the questions efficiently. ii: The questions are all multiple choice. iii: The passing score is 300 out of a maximum possible score of 500.
i: Notes Part 1 → well worth going over and understanding, and since the notes fit nicely in a smartphone screen, it is convenient to study these whilst out and about. ii: Notes Part 2: vSphere 5 Configuration Maximums → are also worth going over but it is unlikely you will see many questions – perhaps only 1 or 2 – on this in the exam – then again those 1 or 2 questions can be the difference between a pass and a fail! Do not spend too much time on trying to remember these, the time can be better spent elsewhere. v: Experience → if short on experience then going on a VMware vSphere 5 course (a prerequisite before taking the exam if not a pre-existing VCP4 – and even VCP4's will need to take the What's New course after 29th Feb 2012,) more lab work and a well written book. vi: Time → always the hardest resource to get enough of! vii: A bit of luck! vSphere Auto Deploy installs the ESXi image directly into Host memory. By default, hosts deployed with VMware Auto Deploy store logs in memory. When deploying hosts with VMware Auto Deploy, Host Profiles is the recommended method to configure ESXi once it has been installed. Benefits of auto deploy = decouples the Vmware ESXi host from the physical server and eliminates the boot disk, eliminates configuration drift, simplifies patching and updating. VMware Auto Deploy Installation = the quickest possible way to deploy > 10 ESXi hosts. Interactive Installation = recommended install method to evaluate vSphere 5 on a small ESXi host setup. The vSphere power CLI image builder cmdlet defines the image profiles used with auto deploy. In a HA cluster after an initial election process, host is either Master or Slave. i) Scanning for an existing Master. ii) If the Master states that it cannot reach a Slave, vCenter will contract the Slave to determine why. iii) When powering on a FT Secondary VM. iv) When host is reported isolated or partitioned. A HA Slot = a logical representation of the memory and CPU resources that satisfy the requirements for any powered-on virtual machine in the cluster. 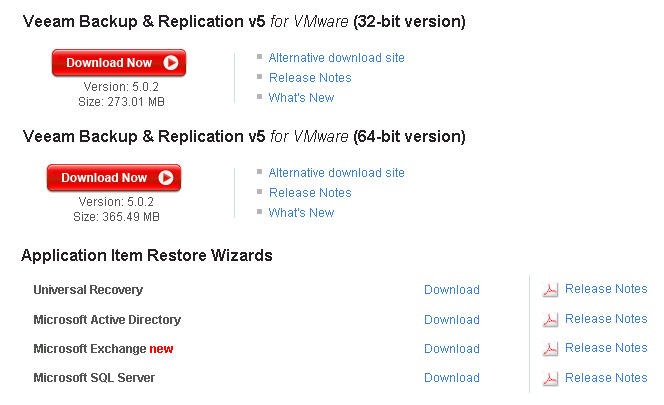 The 4 VM Restart Priority options available on a HA cluster = Disabled, Low, Medium, High. The three Host Isolation Response options available on a HA Cluster = Shut down, Power off, Leave powered on. 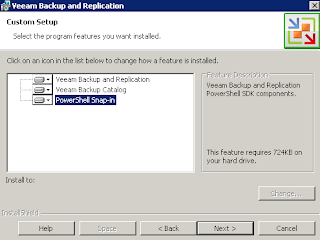 If the 'Admission Control' option 'Disable: Allow VM power on operations that violate availability constraints' is selected, then "if a cluster has insufficient failover capacity, vSphere HA can still perform failovers and it uses the VM Restart Priority setting to determine which virtual machines to power on first." VMX Swap can be used to reduce virtual machine memory overhead. Memory allocation – memory limit = amount of virtual machine memory that will always be composed of disk pages. vNUMA is enabled by default when a virtual machine has more than 8 vCPU's. Disabling transparent memory page sharing increases resource contention. For maximum perfomance benefits of vNUMA, recommend make sure your clusters are composed entirely of hosts with matching NUMA architecture. Memory reservation = the amount of physical memory that is guaranteed to the VM. Resource Allocation tab definitions: Guest memory usage = amount of memory actively used by a guest operating system and it's applications. 3 metrics to diagnose a memory bottleneck at the ESXi host level: MEMCTL, SWAP, ZIP. Virtual Machine Memory Overhead is determined by Configured Memory and Number of vCPUs. Via the Direct Console, it is possible to: (F12) Shut down/Restart host, (F2) Customize System/View Logs - which includes: Configure/Restart/Test Management Network (includes configure host IP, DNS), View System Logs, Troubleshooting Mode Options > Restart Management Agents. 3 valid objects to place in a vApp → Resource pools, vApps, Virtual Machines. Required settings for a kick start ESXi host upgrade script file: root password & IP address. vMotion cannot be used unless RDM boot mapping files are placed on the same datastore & storage vMotion cannot be used with RDMs using NPIV. Conditions that would stop virtual machines restarting in the event of a host failure in a HA cluster: 1) An anti-affinity rule configured where restarting the VMs would place them on the same host. 2) The virtual machines on the failed host are HA disabled. The VMkernel is secured by the features – memory hardening and kernel module integrity. VMware vCloud Director pools virtual infrastructure resources in datacenters and delivers them to users as a catalog-based service. Quiescing virtual machine snapshot operation: 1) Requires VMware tools. 2) Ensures that the snapshot includes a power state. 3) May alter the behaviour of applications within the virtual machine. 4) Ensures all pending disk I/O operations are written to disk. Each VMware Data Recovery appliance can have no more than two dedupe destinations, and it is recommended that each dedupe destination is no more than 1TB in size when using virtual disks, and no more than 500GB in size when using a CIFS network share. ESX 4.X to ESXi 5.0 upgrade removes the "Service Console" port group because ESXi 5.0 has no Service Console. SplitRX can be used to increase network throughput to virtual machines. ESX 4.X to ESXi 5.0 upgrade process migrates all vswif interfaces to vmk interfaces. Custom ports that were opened by using the ESX/ESXi 4.1 esxcfg-firewall command do not remain open after upgrade to ESXi 5.0. A firewall has been added to ESXi 5.0 to improve security. To relieve a network bottleneck caused by a VM with occasional high outbound network activity, apply traffic shaping to the port group that contains the virtual machine. NIC Teaming policy: Notify Switches → the physical switch is notified when the location of a virtual NIC changes. A remote SSH connection to a newly installed ESXi 5.x host fails, possible causes: 1) The SSH service is disabled on the host by default. 2) The ESXi firewall blocks the SSH protocol by default. Forged transmits: allows packets to be created by a virtual machine with different source MAC address. To verify all IP storage VMkernel interfaces are configured for jumbo frames, either: 1) esxcli network IP interface list. 2) View the VMkernel interface properties in the vSphere client. Map view indicates vMotion is disabled => vMotion has not been enabled on a VMkernel port group. ESXi Host → Configuration Tab → Network Adapters : Headings = Device, Speed, Configured, Switch, MAC Address, Observed IP Ranges, Wake on LAN Supported. By default, new adapters are active for all policies, and new adapters carry traffic for the standard switch and its port group unless you specify otherwise. Network Load Balancing policies for vSphere Distributed Switch = Route based on originating virtual port; Route based on IP hash; Route based on source MAC hash; Route based on physical NIC load; Use explicit failover order. Requirements for a collector virtual machine to analyze traffic from a vSphere Distributed Switch: 1) The source and target virtual machines must both be on a vNetwork Switch, but can be on any vDS datacenter. 2) The port group on distributed port must have NetFlow enabled. Two methods to migrate a virtual machine from a vSphere Standard Switch (VSS) to a vSphere Distributed Switch (VDS): 1) Migrate the port group containing the virtual machine from a vNetwork Standard Switch using the Migrate Virtual machine networking option. 2) Edit the Network Adapater settings for the virtual machine and select a dvPort group from the list. 3 features only available when using a vSphere Distributed Switch: 1) NetFlow monitoring. 2) Network I/O control. 3) Egress and ingress traffic shaping. New feature: vSphere Distributed Switch - improves visibility of virtual-machine traffic through NetFlow and enhances monitoring and troubleshooting through Switched Port Analyzer (SPAN) and Link Layer Discovery Protocol (LLDP) support. 389: This port must be open on the local and all remote instances of vCenter Server. This is the LDAP port number for the Directory Services for the vCenter Server group. The vCenter Server system needs to bind to port 389, even if you are not joining this vCenter Server instance to a Linked Mode group. 443: The default port that the vCenter Server system uses to listen for connections from the vSphere Client. The vCenter Server system also uses port 443 to monitor data transfer from SDK clients. 636: For vCenter Server Linked Mode, this is the SSL port of the local instance. 902: The default port that the vCenter Server system uses to send data to managed hosts. Managed hosts also send a regular heartbeat over UDP port 902 to the vCenter Server system. This port must NOT be blocked by firewalls between the server and the hosts or between hosts. Also must NOT be blocked between the vSphere Client and the hosts. The vSphere Client uses this port to display virtual machine consoles. 8080: Web Services HTTP. Used for the VMware VirtualCenter Management Web Services. 8182: vSphere HA uses TCP and UDP port 8182 for agent-to-agent communication. 8443: Web Services HTTPS. Used for the VMware VirtualCenter Management Web Services. If an ESXi 5.x host is configured to boot from Software iSCSI adapter and the administrator disables the iSCSI Software adapter, then it will be disabled but is re-enabled the next time the host boots up. An array that supports vStorage APIs for array integration (VAAI) can directly perform → Cloning virtual machines and templates; Migrating virtual machines using Storage vMotion. VAAI thin provisioning dead space reclamation feature can reclaim blocks on a thin provisioned LUN array: 1) When a virtual machine is migrated to a different datastore. 2) When a virtual disk is deleted. Manage Paths → can disable path by right-clicking and selecting disable. Information about a VMFS datastore available via the Storage Views tab includes → Multipathing Status, Space Used, Snapshot Space. Two benefits of virtual compatibility mode RDMs v physical compatibility mode RDMs: 1) Allows for cloning. 2) Allows for template creation of the related virtual machine. To uplink a Hardware FCoE Adapter, create a vSphere Standard Switch and add the FCoE Adapter as an uplink. Three storage I/O control conditions that might trigger the non-VI workload detected on the datastore alarm: 1) The datastore is Storage I/O Control-enabled, but it cannot be fully controlled by Storage I/O Control because of an external workload. This can occur if the Storage I/O Control-enabled datastore is connected to an ESX/ESXi host that does not support Storage I/O Control. 2) The datastore is Storage I/O Control-enabled and one or more of the hosts to which the datastore connects is not managed by vCenter Server. 3) The array is shared with non-vSphere workloads or the array is performing system tasks such as replication. The software iSCSI Adapter and Dependent Hardware iSCSI Adapter require one or more VMkernel ports. Unplanned Device Loss in a vSphere 5 environment = A condition where an ESXi host determines a device loss has occurred that was not planned. Performing a storage rescan removes the persistent information related to the device. To convert thin provisioned disk to thick either use the inflate option in the Datastore Browser or use Storage vMotion and change the disk type to Thick. 1 Create user-defined storage capabilities. 2 Associate user-defined storage capabilities with datastores. 3 Enable virtual machine storage profiles for a host or cluster. 4 Create virtual machine storage profiles by defining the storage capabilities that an application running on a virtual machine requires. 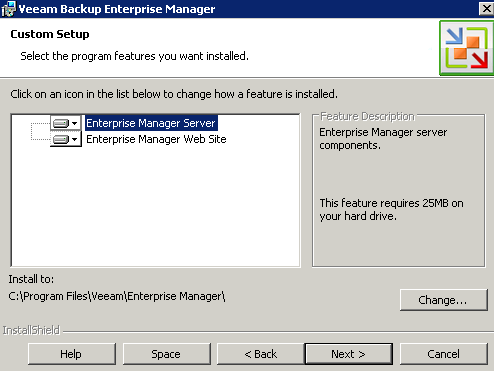 5 Associate a virtual machine storage profile with the virtual machine files or virtual disks. 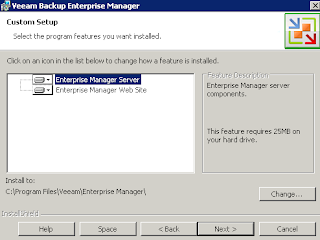 Default Hosts upgrade baselines included with vSphere Update Manager: Critical Host Patches, Non-Critical Host Patches. Default VMs/VAs upgrade baselines included with vSphere Update Manager: VMware Tools Upgrade to Match Host, VM Hardware Upgrade to Match Host, VA Upgrade to Latest. vSphere 5 vCenter Update Manager cannot update virtual machine hardware when running against legacy hosts. 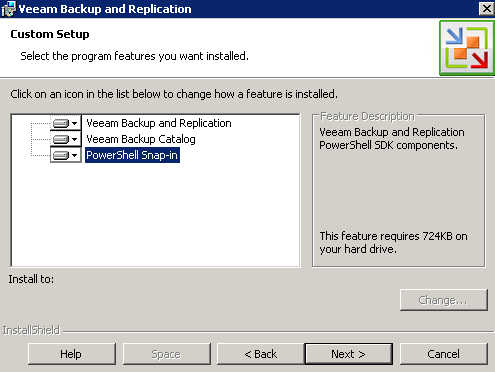 Update Manager can update virtual appliances but cannot update the vCenter Server Appliance. vCenter Server 5 requires a 64 Bit DSN. vCenter Heartbeat product provides high availability for vCenter server. vCenter requires a valid (internal) domain name system (DNS) registration. vCenter 4.1 and vCenter 5.0 cannot be joined with Linked-Mode. The VMware vSphere Storage Appliance manager (VSA manager) is installed on the vSphere 5 vCenter Server System. 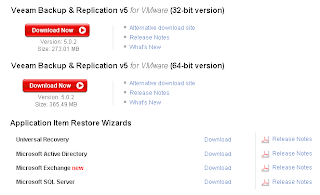 Optional components that can be installed from the VMware vSphere 5.0 vCenter Installer: Product Installers) vSphere Client, VMware vSphere Web Client (Server), VMware vSphere Update Manager. Support tools) VMware ESXi Dump Collector, VMware Syslog Collector, VMware Auto Deploy, VMware vSphere Authentication Proxy. Utility) vCenter Host Agent Pre-Upgrade Checker. To export ESXi 5.x host diagnostic information / logs from a host managed by a vCenter server instance using the vSphere Client: 1) Home → Administration → System Logs → Export System Logs → Source: select the ESXi host → Select System Logs: Select all → Select a Download Location → Finish. 2) Under 'Hosts and Clusters' view select the ESXi host → File → Export → Export System Logs → Select System Logs: Select all → Select a Download Location → Finish. After a network outage, all systems and services come back online except for the BlackBerry smartphones. 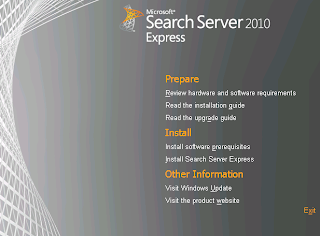 Process Microsoft.Exchange.RpcClientAccess.Service.exe (PID=...). User '...BESAdmin~RCA~false' has gone over budget '...' times for component 'RCA' within a one minute period. Info: 'Policy:[Fallback], Parts:MaxConcurrency:...;'. Threshold value: '100'. “The throttling framework is intended to protect Exchange resources, so if it is going to "fail", it needs to do so in a safe and predictable way. …. When ... tries to load policy … it fails. ... it fails along a fallback path. In above scenario, it appears that – due to the network outage – there was trouble contacting a domain controller, trouble reading the BESPolicy throttling policy, trouble reading the default throttling policy, hence it passed to the fallback throttling policy which is hard coded in Exchange 2010 (even though the GetThrottlingPolicy cmdlet indicated the BESAdmin mailbox was using the correct policy.) Recreating the BESPolicy from scratch and re-applying to the BESAdmin mailbox did not fix, nor did a restart of the BES 5.0 server. 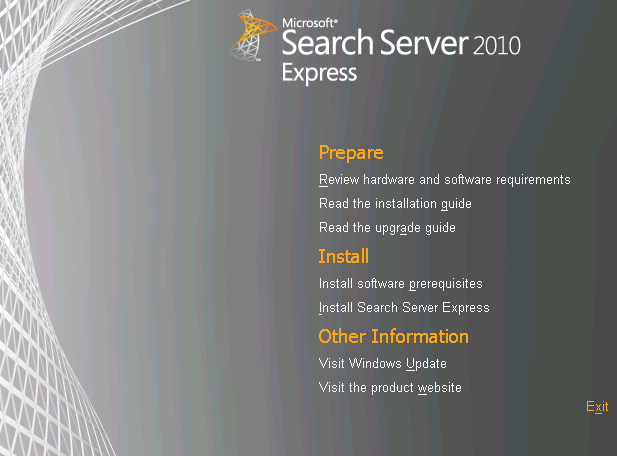 The above issue was seen with an Exchange 2010 SP1 DAG and BES 5.0 setup.